If you own a house in Chicago and don’t have a pool or an indoor water park: GET A METER. I am very grateful my coworker happened to mention MeterSave to me (thanks, Curt! ), so now I am mentioning it here. If you don’t own a house in Chicago, tell your friends and loved ones who do. When we bought our house, I had no idea how Chicago’s water service worked because I never had to deal with it as a renter. I was surprised to learn that the city estimates water usage based on the size of your house, or the number of faucets, or the cut of your jib. Chicago is moving to a metered system so that they can measure actual usage instead of guessing. Make sense. Having a meter installed will be a requirement in the future, but for now they’re trying to lure people to sign up via their fancy website (“Version 1.0 Copyright 2009”) and dreamy headshots. They also installed a small radio instrument to the front of our house. It’s currently the most attractive thing happening in that area. With only two people living in our house, I knew we’d use less water than the city’s estimate, but I was still surprised by just how dramatically cheaper our water bill is now. Without a water meter, the City of Chicago would have charged us $560 every six months — nearly $100/month, making it our most expensive utility on average. With the water meter, we’re averaging $18 a month. If the price and our usage remains about the same, the water meter will save us around $900 a year. If you know your water account number, proceed straight to www.metersave.org and sign up for an appointment. Note: the online form suggests that you’re scheduling an exact time, but when you get appointment reminder it’s revealed that you signed up for a two-hour window. April 22 is both Earth Day and my husband’s birthday. Jarrod is my most enthusiastic and supportive reader, and he’s a pretty great teammate for life. So, this proselytizing post is in his honor. HBD, JMR! Posted on April 22, 2016 May 1, 2016 Categories Basement, Preach!Tags chicago3 Comments on Chicagoans: Sign Up for a Water Meter! Persuaded by their near-flawless rating, I ordered these sheets from Amazon at the beginning of winter. They’re perfect. Our bedroom is the coldest room in the apartment – last year we used a space heater and we haven’t needed it once since buying these sheets, even with the thermostat set to 50 degrees at night. 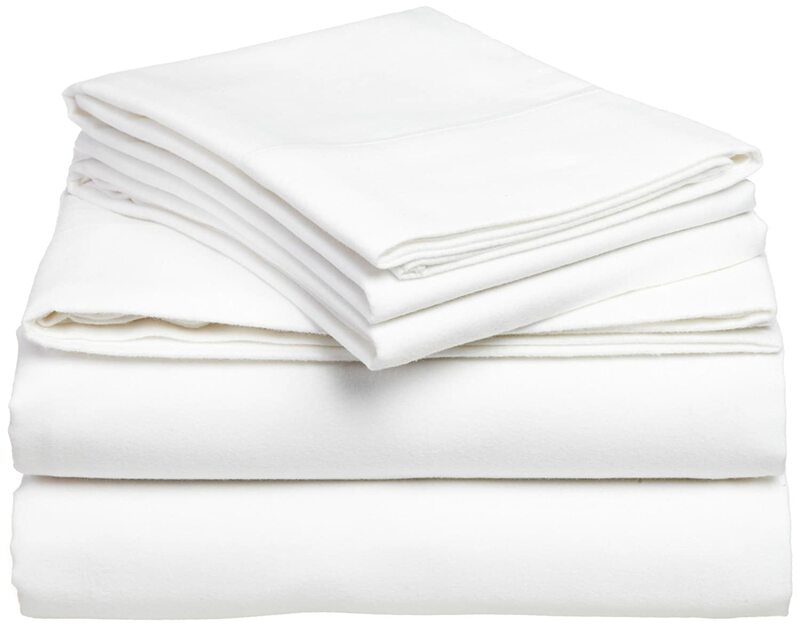 They’re super soft and smooth, and they wash beautifully – nothing like the rough, pilled flannel sheets I remember having as a kid. I was surprised to learn from the packaging that the sheets are actually manufactured by Amazon – turns out that Pinzon is one of their private labels. Challengers is a comics shop at Western Ave. & Milwaukee, just south of the Blue Line stop. Jarrod signed up for their rental service recently, which offers a large selection of graphic novels for $10/month. It’s a great way to explore different series and the collection is much more current than what’s on the shelf at your public library. The shop owners are friendly and approachable – I think a rental membership would be a great gift for the comics newbie in your life. Nothing says “Happy Valentine’s Day!” like Saga Volume One.